The Ministry for the development of the Arctic and the peoples of the North of Yakutia will be staffed in the near future, its head has already started work and plans working trips to the Northern regions of the Republic. This was reported by TASS on Tuesday, the head of Yakutia Aysen Nikolaev on the sidelines of the Gaidar forum. The Ministry was created on December 30, 2018 by the decree of the head of Yakutia on the basis of the state Committee for Arctic Affairs. The head was appointed Alexander Savvinov, who since the early 1990s worked in the Executive authorities and commercial structures of the region, during three convocations led the Yakut city Duma. "The Ministry is not yet staffed, there are competitive procedures for various positions. The new Ministry will employ 25 people. I think that in the next month we will complete. The Minister has started to work, in the coming weeks are expected to work trips to the Arctic ulus", - he said. The new Ministry will be engaged in the comprehensive development of the Yakut Arctic, the area of which is about 1.5 million square kilometers. "the outflow of the population from the Arctic part of Yakutia continues, over the past 8 years the population has decreased by 8%. There are no large enterprises, many mineral deposits are not developed, quite a serious downtrend is in the traditional industries - fishing, reindeer husbandry. All this affects the fate of the indigenous peoples of the North," the head of the Republic explained the need for comprehensive development of the Yakut Arctic. In particular, the Ministry will be engaged in the socio-economic development of the Northern territories, the implementation of infrastructure projects. The emphasis will be placed on the development of transport infrastructure around the Northern sea route, the reconstruction of ports and the creation of a high-tech Zhatai shipyard, the construction of which will begin in 2019. The Ministry will also deal with the development of traditional activities: reindeer husbandry and fishing. Gaidar forum is an annual international scientific and practical conference in the field of Economics, held since 2010. 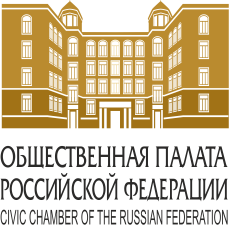 The forum is organized by the Russian presidential Academy of national economy and public administration (Ranepa) and the Institute of economic policy. E. T. gaidara and Association of innovative regions of Russia (AIRR). TASS is the General information partner of the Gaidar forum. The head of Yakutia, Aisen Nikolaev, announced the creation of a new structure in the region as part of the government - the Ministry for the development of the Arctic of the Republic of Sakha (Yakutia). He said this on Monday, speaking with a message to the State Assembly (Il Tumen) of the Republic. "I decided to create the Ministry for the development of the Arctic of the Republic of Sakha (Yakutia). The economic growth of the Northern ulus of the Republic is associated with the formation of the North Yakut reference zone of the Arctic zone. The emphasis will be placed on the development of transport infrastructure around the NSR (Northern sea route), the reconstruction of ports, the creation of a high - tech Zhatai shipyard, the construction of which will begin in 2019," the head of Yakutia TASS quotes. Aysen Nikolaev noted that the Department will be engaged in complex development of Northern territories. In his opinion, the work of the existing state Committee for Arctic Affairs "was reduced to the regulation of traditional activities: reindeer husbandry and fishing." 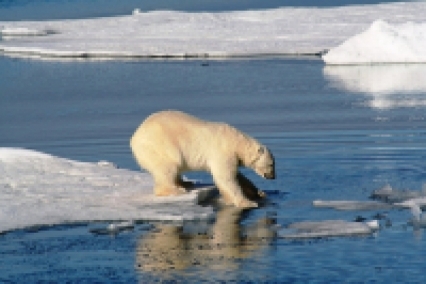 "The development of the Arctic requires an integrated approach. Swoops, single measures it is not exactly to raise. The scale of the tasks requires a completely new level and quality of management," the head of Yakutia said. The Arctic - a region of strategic importance for our country. Living and working there people need constant support from the state.